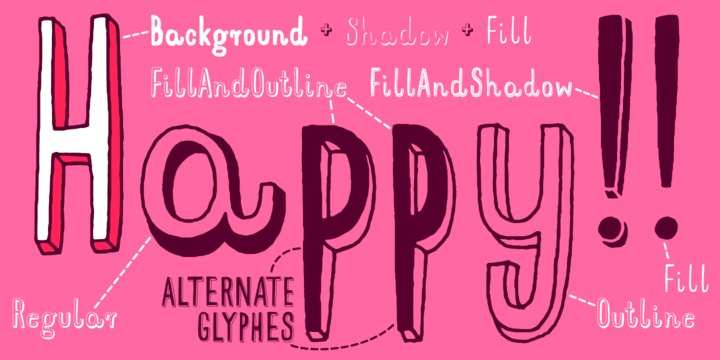 Mr Happy is an hand-drawn sans-serif created by Aleksandra and Daniel Mizielinscy and published by Hipopotam Studio that you can use different styles over the blackground style. It is recommanded for headline, invitation, poster etc. Enjoy! A font description published on Wednesday, May 22nd, 2013 in Fonts, Hipopotam Studio by Alexandra that has 6,108 views.